Back in the day, meaning the 1840s in this case, the first touring circus arrived in St. Petersburg and captured the fancy of its citizens. 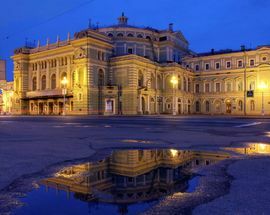 Alberto Cavos, the architect responsible for constructing Moscow's Bolshoi Theatre and the renovation St. Petersburg's Mikhailovsky, was commissioned to build a theatre that would satisfy the needs of a circus, a vaudeville troupe and opera company. In four and a half months, work was completed on what was to become Circus Theatre, though the theatre would stand for a year before opening to allow the structure to settle atop a series of massive granite boulders, sunk into the marshy soil to support the weight of the building. The boulders are still there but the theatre itself was utterly ravished by a fire in late January 1859. 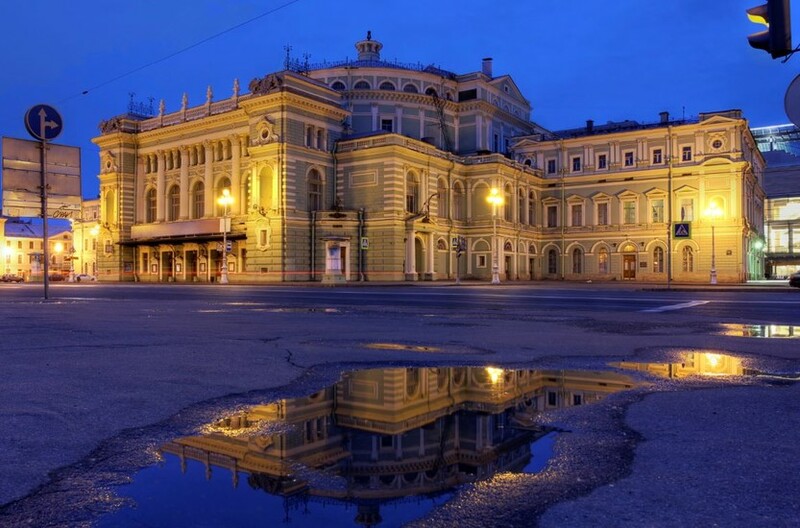 From the ashes of the Circus Theatre would rise one of the world's most beautiful and renowned opera houses and home to Russia's premier ballet company: the Mariinsky. 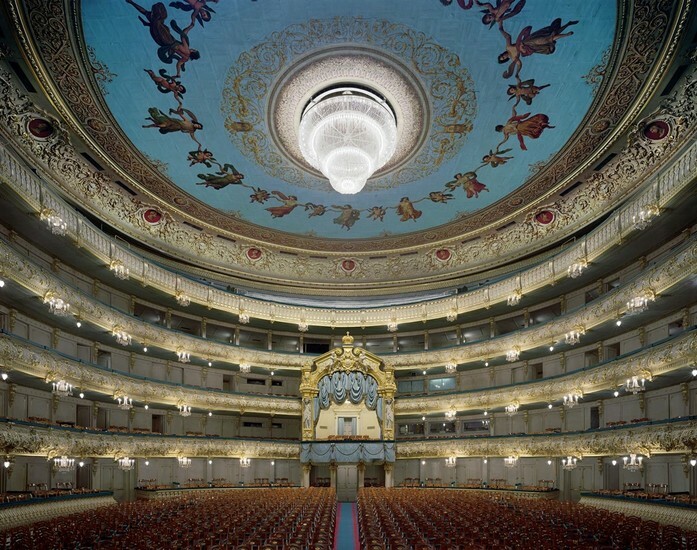 From the very beginning, the Mariinsky was a theatre unlike any other before or since in Russia. 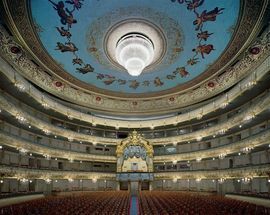 Cavos worked intimately with Tsar Alexander II to create a larger, more elaborate stage and seating area, specifically with the needs of an opera company in mind. Flanking the horseshoe-shaped theatre, former stables were converted to administrative offices, dressing rooms and rehearsal spaces. The facade was a simple Romanesque design, but the interior was resplendent in gleaming gilt, bleach white masks and statues, all highlighting the blue of its velvets and silks – a most unconventional colour choice at the time. 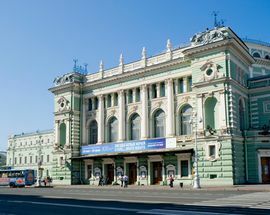 Seating was expanded to 1625 which is what it remains today, the most coveted of them being the grand Tsar's box, arching over two storeys and positioned dead centre across from the stage. Ironically, the Tsar himself rarely sat there. His own box was a smaller, less elaborate affair to one side of the stage. Over the decades, floors were added to the wings, the facade was expanded to the more intricate and imposing design we know today and the interior acquired additional murals and chandeliers. Essentially, however, the present day Mariinsky is the Mariinsky of 1894. Which is precisely the reason for the construction going on at the moment directly behind it. 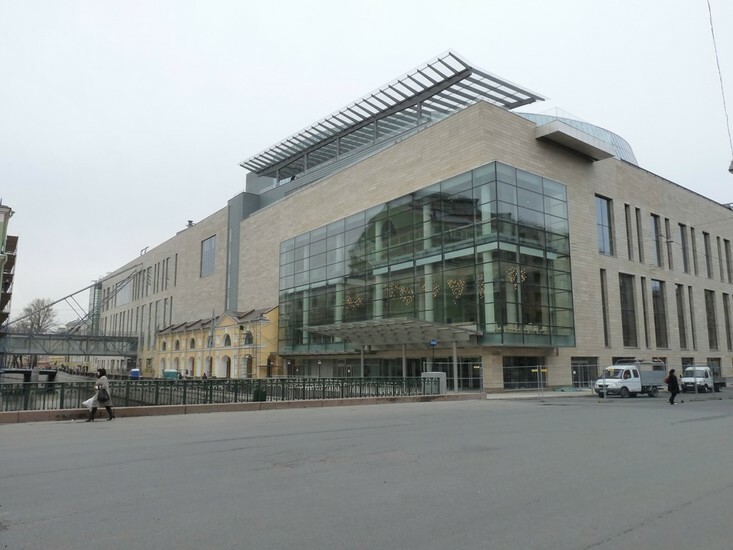 But we're getting ahead of ourselves by not introducing the driving force responsible for the Mariinsky's next performance venue – indeed the driving force currently responsible for everything, but everything that goes on inside and around the theatre – Valery Gergiev. He is known as Maestro, called such in tones of reverence and respect by musicians and dancers, secretaries and security, colleagues and cleaning ladies alike, and he is the Mariinsky. Born in Moscow to Ossetian parents, his family returned to their Caucasian homeland when Gergiev was five years old, specifically to distance themselves from Soviet life. 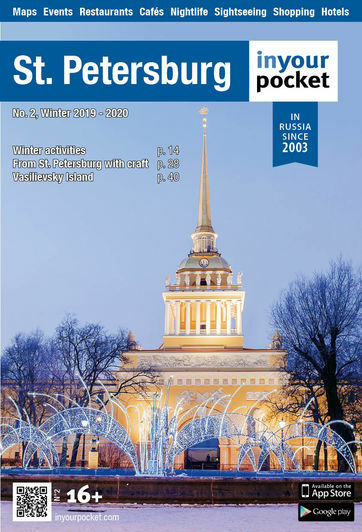 However, he would return to the USSR at the age of eighteen to study at the Leningrad Conservatory, an institution that had nurtured the talents of Tchaikovsky and Shostakovich, on the advice and introduction of his first real conducting teacher, Anatoly Briskin. In 1978 he was hand-picked by Yuri Temirkanov, then director of the Mariinsky company, to become his assistant. In retrospect, it would seem Gergiev's career has been nothing short of a meteoric journey to success. At just 35 years of age, he succeeded Temirkanov in becoming the theatre's chief conductor and artistic director and only 7 years later was named its absolute master. 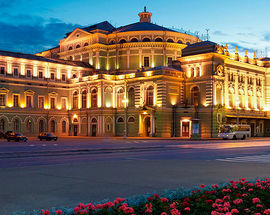 During his tenure, Gergiev has elevated the theatre and its company to a place amongst the world's great opera houses and aroused a new international interest in the Russian arts through performances abroad, recordings and festivals - the most famous of which is of course the annual White Nights festival held in June and July. He has done so by dragging the theatre, sometimes kicking and screaming into the 21st century. Under Soviet direction, there was neither support nor understanding for singing in the original languages and one of his first demands of his company was to correct this. 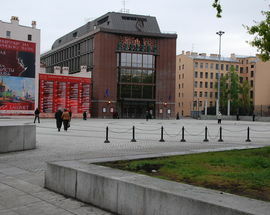 Similarly, he saw an immediate need to update the direction and design of productions grown stale and dusty in their isolation from the rest of the world first by bringing in foreign talent, next by nurturing younger artists and finally by spearheading the construction of the Mariinsky Concert Hall and Second Stage. For over 100 years on Dekabristov ul. 37 a workshop existed solely for creating and storing the sets and costumes that brought the Mariinsky Theatre's productions to life. In 2003 tragedy struck and a fire raged through the building, destroying almost all of its contents and damaging the factory to a degree that almost destined the site to complete annihilation. 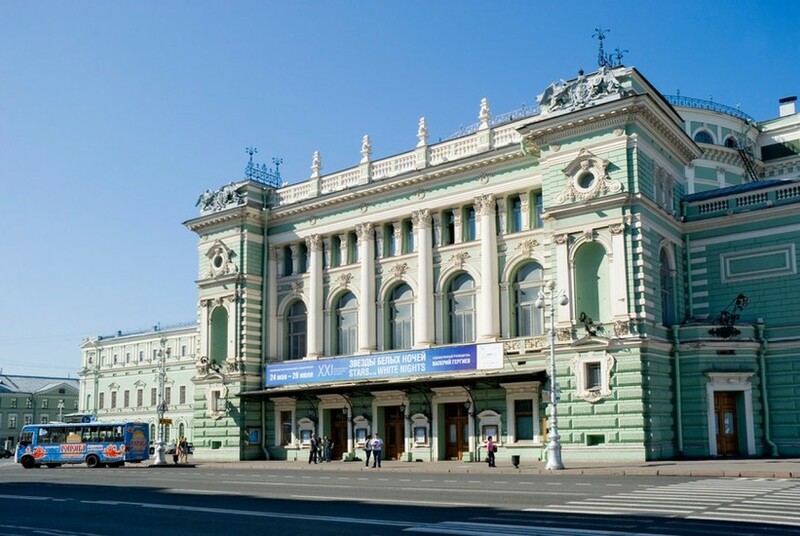 Miraculously, the original facade survived and it was here that Gergiev turned misfortune into opportunity by ordering the construction of a state-of-the-art concert hall. Architect Xavier Fabre designed the cradle-shaped hall, retaining the original facade at one end while creating a thoroughly modern version at the other in complementary brick red tones. 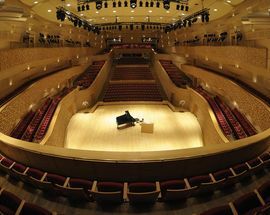 The renowned Japanese engineering firm, Nagata Acoustics, was further contracted to make the venue among the absolute best in the world for acoustics. 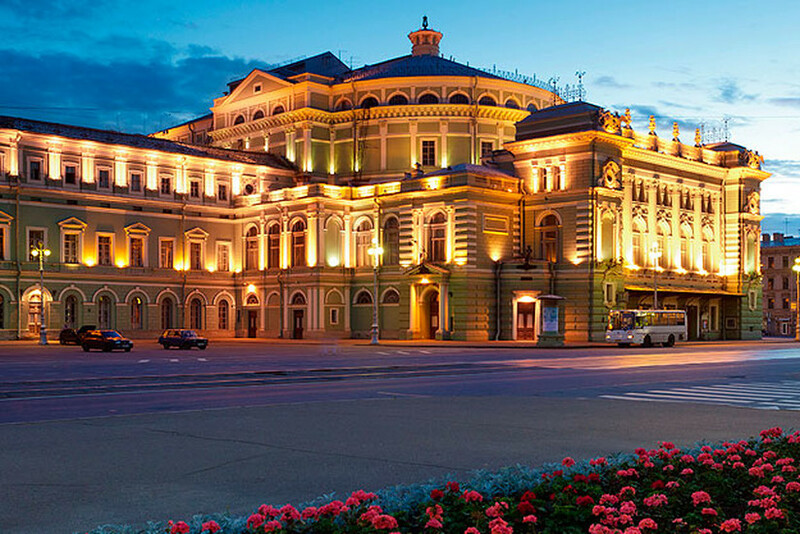 The entire project benefitted greatly from private investment and is the first and only theatre in modern Russia to be funded by the private sector to a larger degree than by the state. 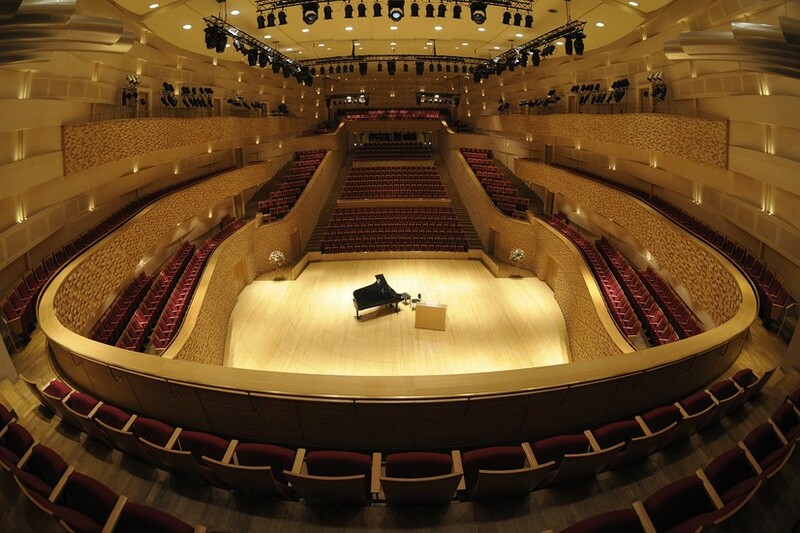 Specifically designed to accommodate the needs of an orchestra, solo artist and chamber musicians, the stage is made up of several blocks that can be mechanically reconfigured to also suit the purpose of a small opera or ballet. 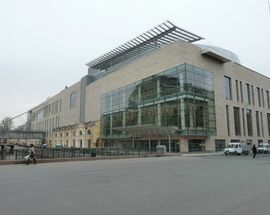 The opening of the multifunctional hall in 2006 was a glittering affair that added 1100 seats to the Mariinsky. Gergiev considers this still inadequate, however. Controversy has surrounded nearly every aspect of the Second Stage. From its very inception, many people have considered the project to be ill-founded and ill-conceived. 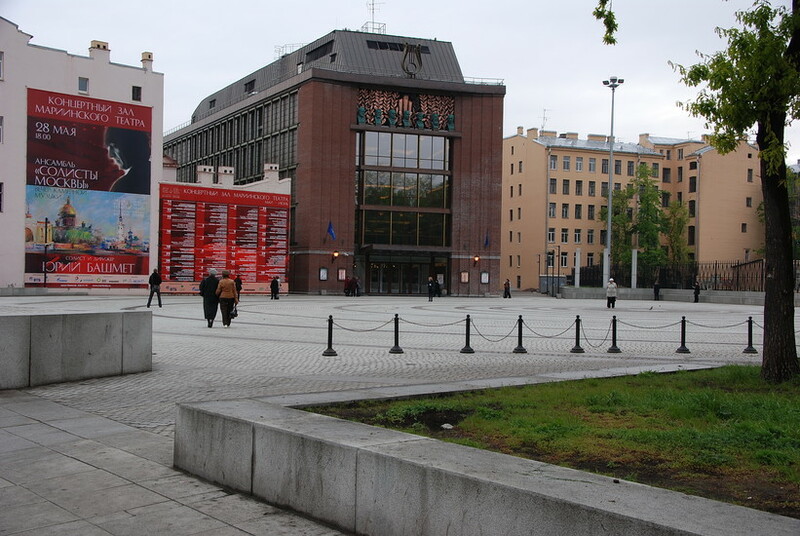 Detractors claim that the thoroughly modern building will be an eyesore on the historical square and the contemporary productions to be staged are a betrayal of the classical repertoire that has been the Mariinsky's bread and butter seemingly forever. Still others contend that there is simply not enough money, that funds already spent on the project would have done more good elsewhere and the need for additional seats, of which there will be 2200 (increasing the company's total holdings to over 5000), simply doesn't exist. The indefatigable Maestro is unperturbed. He envisions the company at last regularly performing 20th and 21st century operas and productions by living authors with the assistance of a thoroughly modernized system for set design and installation. While the foundation has been poured and the above-ground framework is still being constructed, much of the machinery in fact has already been gathering dust in storage. These technological advantages in the staging mean that setups that would take two days in the original theatre can be reduced to a matter of hours, so the theatre is never required by time constraints to be dark for the evening. After many a delay, the Second Stage is scheduled to be opened by this time next year and will no doubt be hosting a slew of celebrities for the city’s finest cultural festival – the Stars of the White Nights.